Guaranteed Acceptance - all foreigners living in Zambia. You can take a Single Plan | Family Plan | Group Plan. You can add children under the age of 25, parents and or parents-in-law under the age of 75. A Group Plan is an innovative Plan targeted at employers, Burial Societies, Clubs, Associations, Churches, and the like. Why carry the burden of huge final expenses when a member passes on when you can get the whole group covered and qualify for huge benefits? If you've recently lost someone close to you, please accept our condolences. Dealing with a death in the family is one of the hardest things many of us will face. At MLife we understand that a funeral cash plan claim is always made at a very emotional and difficult time for the family. That's why we have tried to make things as easy as possible for you. Proof of Beneficiary's Identity e.g. Birth Certificate, Passport, Driving Licence, or National ID. Guaranteed Acceptance: For all diaspora Zambians and their families/parents/in-laws in diaspora or in Zambia up to 75. Children can be covered under family plan from birth to 25 years old. Immediate Cover: For accidental death and up to 24 months waiting period on death by normal/natural causes. Free Cover: When the premium paid matches the sum insured you stop paying premiums altogether and you will be covered for FREE indefinitely. Organise Every Detail: You can choose the funeral insurance plan that best suits your personal and family preferences, if you have any specific ideas in mind you can be confident that your wishes are recorded and delivered at the time of need. Take Financial Care Of Your Family: Remove much of the emotional and financial burdens of arranging a funeral at a difficult time. 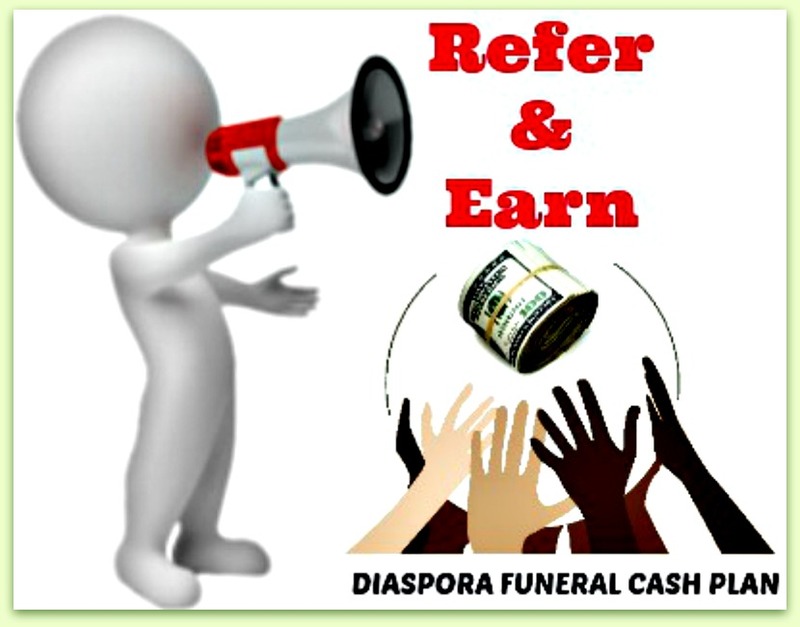 Spread The Costs: You can pay for your Diaspora Funeral Cash Plan monthly, quarterly or yearly. You can select a cover option that suits your needs and budget, from a $1,000 funeral cash plan benefit through to a US$20,000 funeral cash plan benefit. You can apply for a Single Plan, a Family Plan or Group Plan. The Family Plan is by far the most popular Plan, as it allows you to cover not just yourself but your loved ones as well. Under the Family Plan you can cover yourself, spouse, children under 25, parents and/or parents in law as they are under the age of 75. There is no limit on the number of financially dependent children you can include on your family plan but they must be under 25.